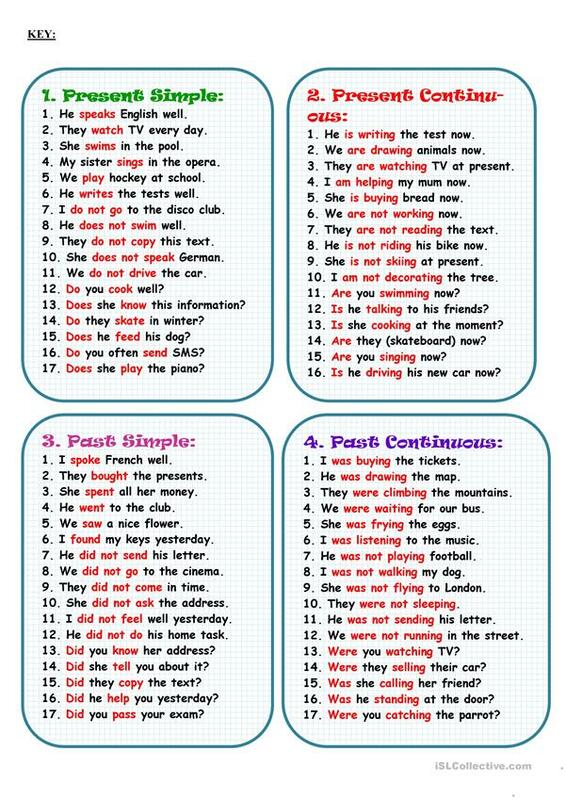 Four exercises for revision of the Present Simple, Present Continuous, Past Simple, Past Continuous. Key is included. Thank you!!! This downloadable worksheet is meant for high school students, elementary school students and adults at Elementary (A1), Pre-intermediate (A2), Intermediate (B1) and Upper-intermediate (B2) level. 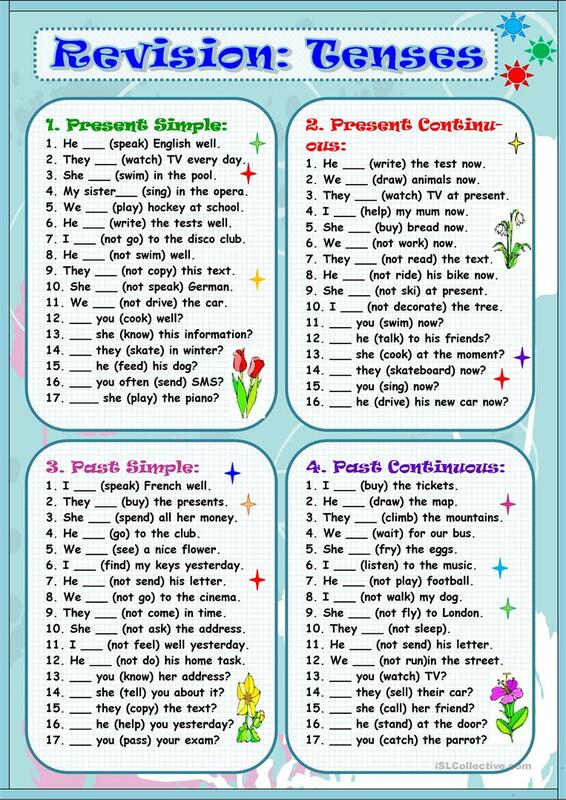 It is a useful material for revising Verb tenses in English, and is useful for enhancing your learners' Speaking and Reading skills. It includes a key, too.